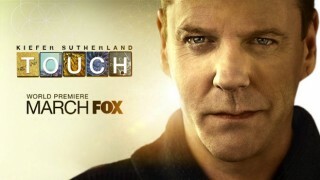 Here is the first trailer for Touch starring Kiefer Sutherland. The series was written by Tim Kring (Heroes) and also co-stars Danny Glover. No official date has been announced yet, but the show is expected to debut in March and air on Mondays at 9PM – 24‘s old time slot. Wow! This show looks great I can’t Waite till it starts! 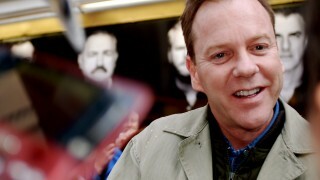 I feel so proud everytime I see the words “Emmy Award Winner Kiefer Sutherland” on screen. 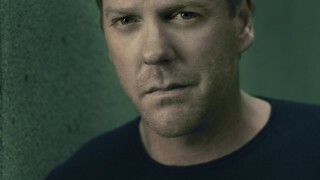 It just shows how good a show 24 was, how good an actor Kiefer is and how Touch will be a great show. It all depends on the reviews now. Homeland worked out very well, but will Touch find a similar place in critics minds? Could both these shows get nominated for the Emmys? Could Kiefer(6) get more noms than Martin Sheen(6) and James Gandolfini(6)? I don’t know about you but I wanna find out. I watched three episodes so far, its interesting to watch but not exciting. I guess I’m use to Kiefer’s show 24. Compared to this one his role is limited and seem rather annoying. Parent chasing after a younger version of Rain Man. That dam kid is annoying.